Benjamin was born in Newbury in 1885, the son of James Povey and his wife Hannah, née Nicholls. He was the second of their seven children; his arrival was preceded by William Robert (born 1894) and followed by Arthur James (1887), Harry Christopher (1889), Elizabeth (1891), Frederick John (1893), and Ellen Annie (1895). Shortly after Ellen was born her father died aged only 39, she would never know him. The Priory, Benjamin's place of employment, still going strong in 2016. Benjamin chose an unusual career, rather than joining his Newbury contemporaries in labouring or retail jobs he became a male nurse. 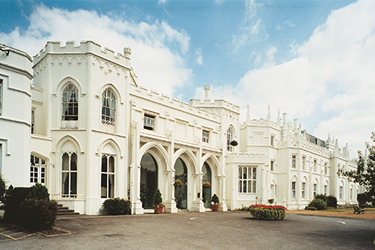 By 1911 he was working at a prestigious private hospital in Roehampton called The Priory. The hospital was described in the census of that year as a licensed house for persons of unsound mind. 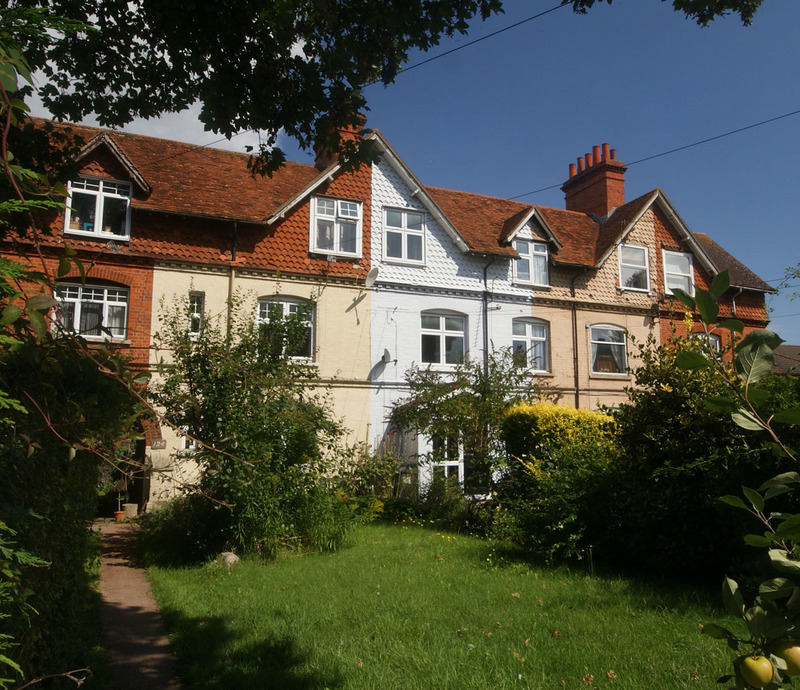 The Priory is still in operation in 2016, still treating mental diseases , but probably best known as the choice of celebrities seeking treatment for addictions or eating disorders. 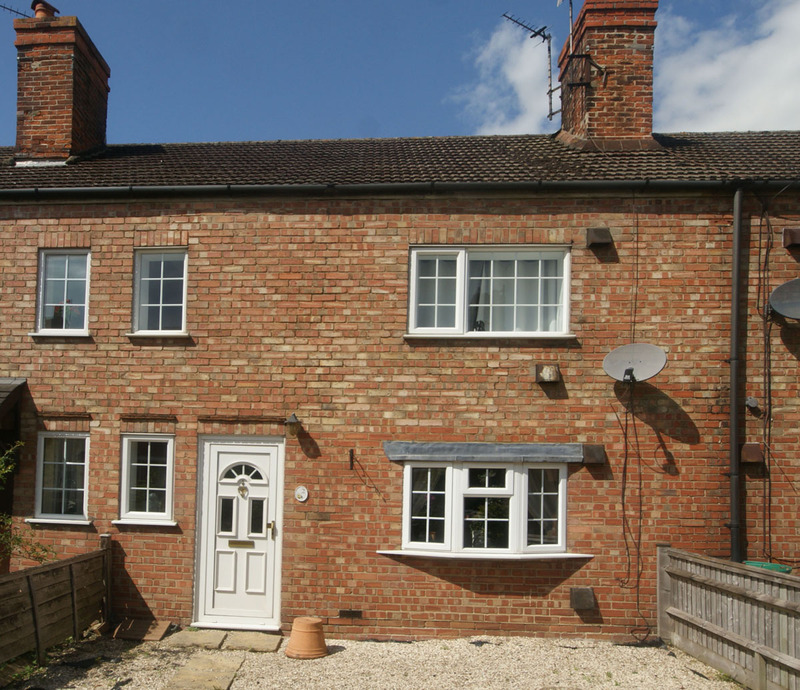 Mrs Povey, of Northampton Terrace, has five sons in His Majesty’s Forces. One is on duty with the RAMC at the Front [Frederick], and on the outbreak of war one joined the Royal Berks [William], another the Norfolks [Benjamin], a third in the Berks Reserves [Harry], and the fourth in the National Reserves [Arthur]. Mrs Povey says she is proud of them, but would be happier if they were all at home again around her table. 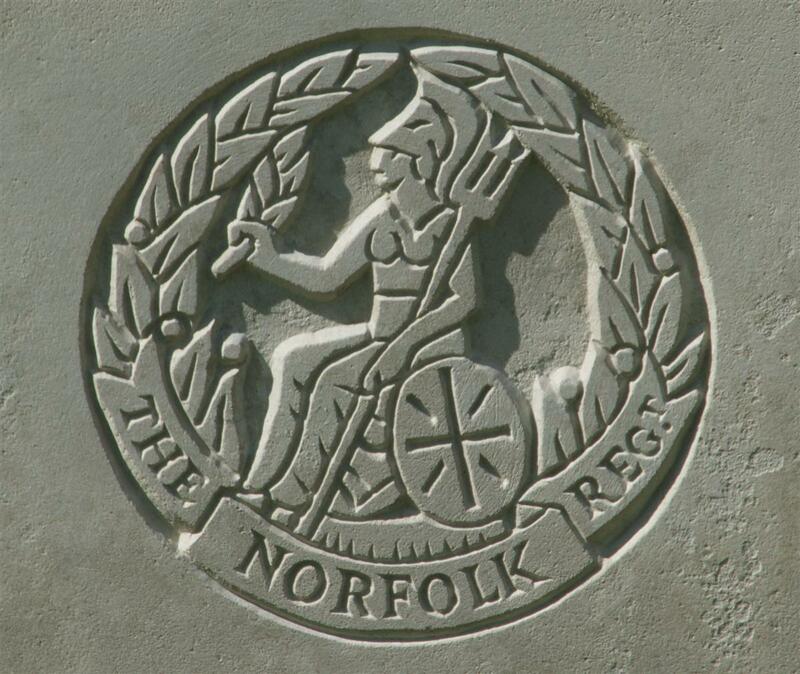 The regimental badge of the Norfolk Regiment, as used on CWGC headstones. It is not clear how Benjamin ended up serving with the Norfolk Regiment, with whom he enlisted in Hammersmith. He was posted to the 9th (Service) Battalion, one of the many new battalions raised to take in the huge number of young men answering Kitchener’s ‘Your Country needs you’ call. The battalion was a part of the 71st Brigade in the 24th Division that crossed to France in August 1915. A few weeks later, on 12 October, the entire brigade was transferred to the veteran 6th Division, which had been in France since August 1914. From October to July 1916 the division manned a section of the line in the Ypres Salient, the infantry battalions taking turns to man the front line, a dangerous activity, but one that all infantrymen became accustomed to. At the end of July the entire division was moved south, they were headed for the Somme, where the Allied offensive has been raging since the beginning of the month. The first month on the Somme was spent preparing for an attack that didn’t happen, followed by a short period of rest. Then, in early September, the division was transferred to XIV Corps on the right hand (southern) end of the British front, its right flank on the northern bank of the River Somme. The Corps was preparing to attack on as a part of 4th Army’s offensive along the line from Gueudecourt to Morval. The offensive, known as the Battle of Flers-Courcelette, is renowned for the first use of tanks on the battlefield. It began on 15 September 1916; the 6th Division were faced with a formidable German defensive position known as The Quadrilateral. The division was allocated 3 of the new machines, the Divisional history records: It was the first occasion on which tanks were employed, and as far as the Division was concerned was a failure, for of the three allotted to the 6th Division two broke down before starting, and the third, moving off in accordance with orders long before the infantry, had its periscope shot off, its peep-holes blinded, was riddled by armour-piercing bullets, and had to come back without achieving anything. 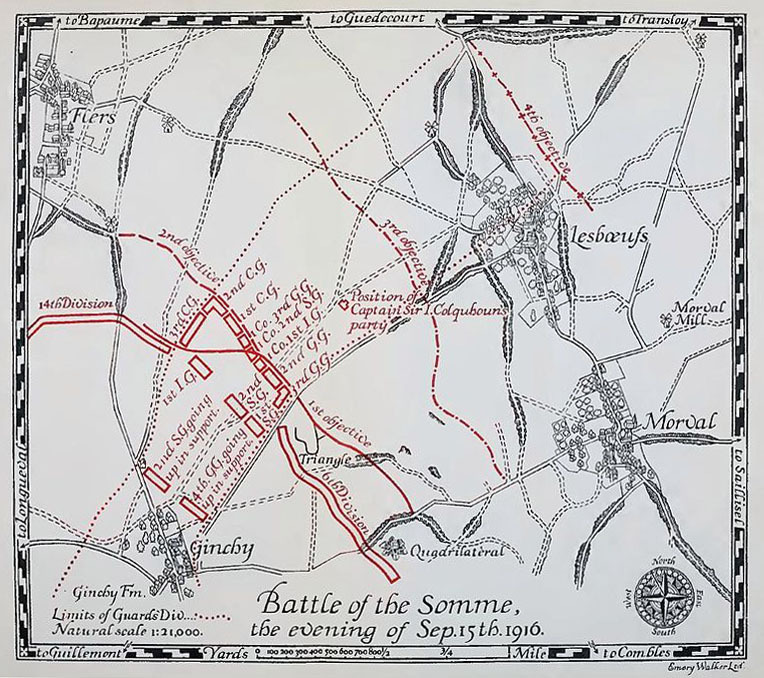 Guards Division, Somme, evening 15 September 1916.
part of the battle this map also shows the 6th Division's deployment and the Quadrilateral redoubt. To make matters worse, the artillery barrage that was the precursor to the infantry assault was planned with a 200yd gap, to allow the tanks to forge ahead of the infantry in safety. With no tanks forging ahead, the gap – in the mid8le of the Quadrilateral – just made the infantry’s task more dangerous. The Divisional History summarises: The 16th Infantry Brigade attacked on a battalion front - one company of the Bedfords bombing up the trench from Leuze Wood, and the remainder over the open to the north against the south-west face. The Buffs and York and Lancasters supported the attack, but, in spite of the greatest gallantry, could not take the Strong Point. The 1st Leicesters and the Norfolks, passing through the entrenched Foresters and Suffolks, attacked the Quadrilateral from the north-west with equal drive, but they too failed. Some ground, however, was made, and by 10 a.m. the 16th Infantry Brigade on the south, and the 71st Infantry Brigade on the north, were digging in close to the enemy's wire and trenches. The Norfolks suffered 459 casualties – including Sgt Benjamin Povey. POVEY – Sept 15 in France, Sergt Benjamin Povey, of the Norfolk Regiment, son of Mrs Povey, of St Briavels, Shaw. The War Office has informed Mrs H Povey, of St Briavels, Shaw, that her eldest son, Sergt Benjamin Povey, of the Norfolk Regiment, was killed in action on September 15th. Sergt Povey had joined up in September, 1914, and had been brought under the notice of the General of the Division for distinguishing himself on May 20, 1916, by attending to wounded men in a section of trench which was being heavily shelled. Mrs Povey lost a son in France in February, and has another son in France, while two more are still in England. All of them heeded their country’s call in the early days of the war, and joined up before Christmas, 1914. Being ‘brought under notice of the General of the Division’ probably means that he was awarded a Divisional Parchment Certificate. These awards were issued by each division to men who performed bravely, but whose gallantry did not merit a higher award, such as a Mention in Despatches or a Military Medal. Benjamin’s body was never identified; his name is remembered on the massive memorial to the missing of the Somme at Thiepval. Locally he is remembered on the Newbury Town War Memorial and on the parish memorial from St Mary’s Speenhamland – the Speenhamland Shrine – sited in St Nicolas, Newbury, since the demolition of St Mary’s in the 1970s. He was also named on the memorial placed in his old school in Speenhamland (now lost). 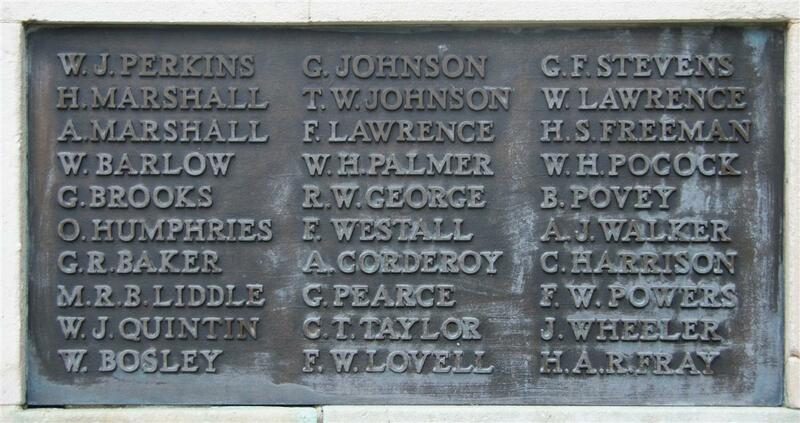 In ever loving memory of Sergt B Povey, 9th Norfolk Regt, who was killed in action, September 15th, 1916. Mother, Sisters and Brothers. The family had suffered another loss in France when William was killed in action on 13 February 1916, seven months before Benjamin.